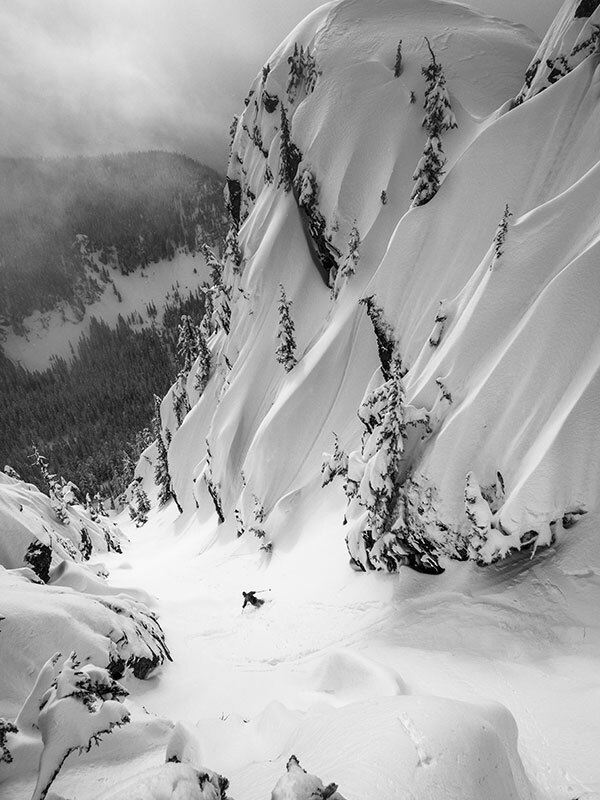 Bryce Phillips stared down the gut of the couloir. It was steep—about 45 to 50 degrees, 1,000 feet long, and virgin. On assignment for POWDER, somewhere deep in Spain's Pyrenees, he had skinned, then postholed through two feet of sugary powder to reach the top. It was a stressful time for Phillips, not that it really mattered in this particular moment. Evo, the company Phillips founded, needed a new CEO; the Pass Life, his mixed-use development project on Snoqualmie Pass, was about to be announced; and his wife was pregnant. Still, he had bought a last-minute flight to Barcelona to do a different kind of work. Phillips dropped in to the narrow chute, a wave of snow enveloping him with every turn. At the bottom, he shook his head in disbelief. Two months later, in May 2013, Phillips retired from a 16-year-long career as a professional skier featured in the pages of this magazine and Nimbus and Warren Miller films. He soon returned as the CEO of evo, the company he started in 2001. The same day he announced his new leadership, his wife went into labor with their first child, whom they named Antonio. Last October, in an old brick building in Southeast Portland, evo opened its second store. Phillips, now 37, is also a partner of Evolution Projects, which owns 10 commercial properties, including the Pass Life, which is located near Alpental, his home mountain. The first phase, which includes 12 lofts, was completed in May 2014, and construction for later phases is ongoing. "Bryce Phillips is a genius," says Drew Tabke, the Freeride World Tour skier who worked at evo for a few months last winter. 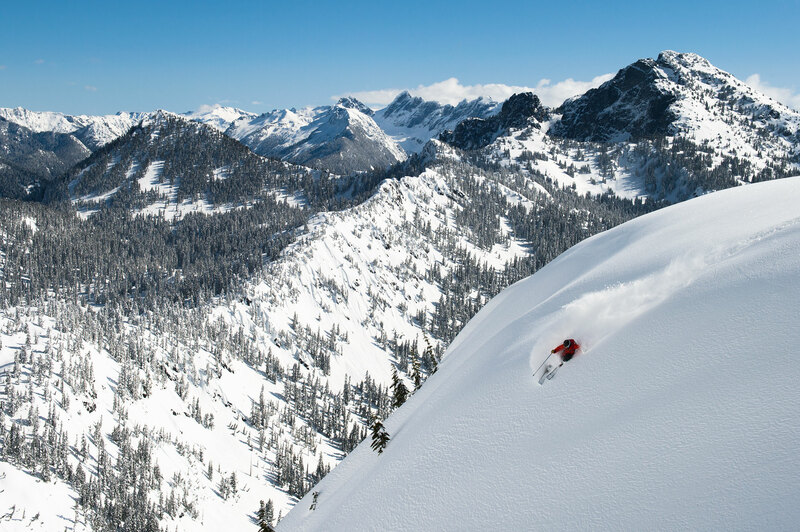 "I think he's played a really big roll in promoting the Northwest lifestyle for a much broader audience than just skiers. Evo encompasses fashion, culture, sport, and community, and that pulls lots of diverse and interesting people into its orbit. He hasn't just promoted skiing up here, he's promoted living up here." Phillips grew up in Roseburg, a lower middle-class logging town in Southern Oregon. He is the oldest of four kids. His family didn't have a lot of money; he was on reduced price lunch at school. In the fifth grade, Phillips' Uncle Jack took him skiing for the first time, two and a half hours south at Mount Ashland. "Whoa," Phillips remembers thinking. "I got to figure out a way to pay for this." He says the past 25 years of his life have been based on that moment. "Buying and selling more homes, starting to grow evo, starting to travel more… People ask me about juggling and they think it’s crazy, but really, it’s just how it’s been for a long time." According to his mom, Phillips' entrepreneurial spirit started with selling baseball cards in elementary school. By high school, he was buying and selling cars. His sophomore year, when a Big 5 in Eugene was closing down, he bought a load of ski boots at 80 percent off, came home, and resold them. He spent $300 and made $1,200. By the time he graduated, he had skied about 20 days in his life. Phillips went to college at Seattle Pacific University. Soon, he started flipping houses and got a pager to help sell the ski gear taking over his small living space. "He pretty much had a retail showcase in every dorm room," says Nathan Decker, one of the original evo employees, who met Phillips on a college trip to Whistler. All the buying and selling allowed Phillips to ski more. He took trips to Jackson Hole and Sun Valley and became a marketing intern at K2. He accumulated more inventory, which allowed him to take a break from school and spend winters in Whistler. In the late '90s, a friend introduced him to eBay.com, through which he started selling inventory, and in 2001, he launched evogear.com, which they later shortened to evo.com. The company now has up to 200 employees and grosses nearly $50 million. For Phillips, everything always seems to be happening at the same time. That is not a new thing for him. "The gas was on on all those fronts at once," says Phillips. "Buying and selling more homes, starting to grow evo, starting to travel more… People ask me about juggling and they think it's crazy, but really, it's just how it's been for a long time." 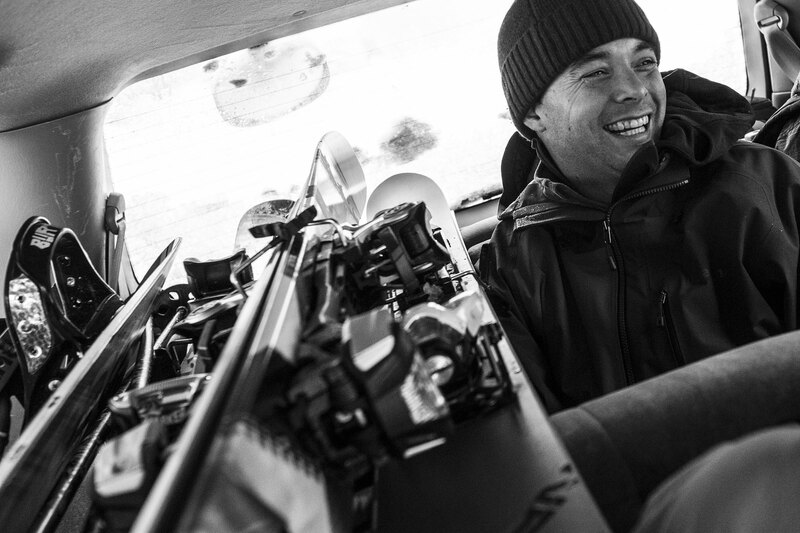 During Phillips' first winter in Whistler, he entered a freeskiing event. His run was outside the competition boundary, and judges refused to score it. Still, the line was brazen enough that he earned an ovation from the crowd as well as a sponsorship deal with K2, for whom he skied for 15 years. His friends, Decker and Shilo Jones, who served as president of the company from 2001 to 2009, took care of the business while Phillips spent winters in Whistler and summers chasing powder in South America. Throughout, he continued to buy and sell properties in the Seattle area. For most of this time, Phillips was living in the closet of a house he owned and rented out to friends. He is an eternal optimist, according to his mom, and defined by his loyalty to his friends and family, says his wife, Elise, a former employee. There are few people whose best friend could also be an employee and a brother-in-law, but Phillips pulls that off. He is eager and earnest, and people revel in his communities. Each week in the summer, Phillips and Elise host a dinner in their Ballard neighborhood home for 10 employees and their signifacnt others—a random selection that ranges from entry level workers to senior leadership. Phillips himself isn't looking for a big payday; he doesn't want to sell evo. 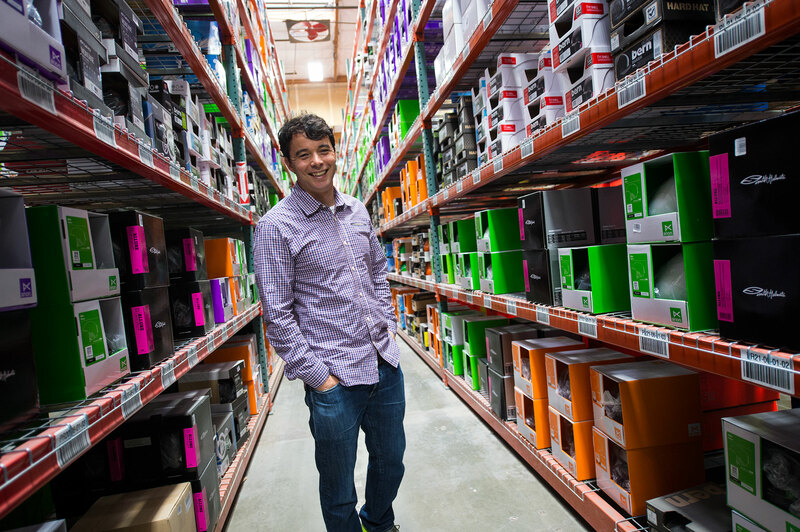 He's inspired by Patagonia (a former sponsor) and Toms, companies that have created something more sustainable than just the bottom line for the next fiscal quarter. In 2005, evo opened its first store, among the first brands to start with e-commerce and then develop a brick-and-mortar presence, but, as Phillips says, it became a lot more than a shop. For all the passionate skiers and snowboarders in Seattle, there was no place for them. "There's nothing that brings these people together," he says of the days before the shop. The store also hosted movie premieres, art galleries, and parties, and became the hub for Pacific Northwest ski culture. 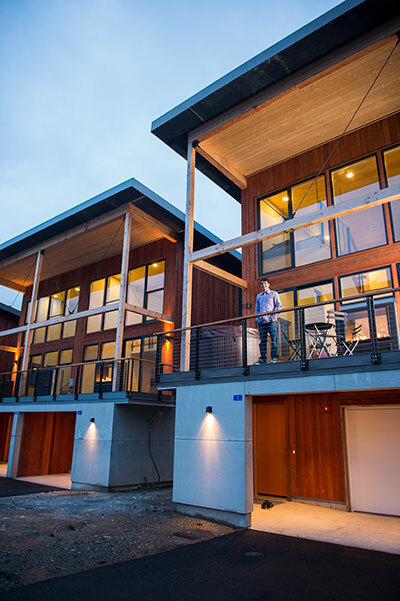 In 2012, evo relocated to a 13,000-square-foot space, also in Seattle's Fremont neighborhood. Although the store's profits don't match those garnered by evo.com, Phillips says developing that community, and having that human contact, was the most important distinction his company made. "Our store is the heart and soul of our brand," says Phillips. "You walk in, and you just get that." Developing that community, having that human contact, was the most important distinction his company made. The new facility is another example of Phillips' personal and commercial appreciation for thoughtful spaces. At the Seattle store, you can come in for a boot fit, then grab a cocktail at Joule (Phillips is part-owner) while you wait for your table at The Whale Wins, a resaturant serving locally-sourced food cooked in a wood oven. The energy from each of these places radiates, as they share an open-air wood ceiling that resembles the hull of a giant boat. With Phillips, what's best for neighborhoods and communities is also what's best for business. Before evo moved in there was little reason to spend time on Stone Way—the building they're in originally manufactured mattresses. Now, there are several restaurants and bars. Brooks Running Shoes is moving in to a new corporate headquarters across the street, and 1,000 apartment units were constructed this summer. Phillips expects around 2,000 more to go up within half a mile in the next four years. Last fall, evo opened their second store. Portland didn’t have a hub for skiers and snowboarders, even though Mount Hood is just over an hour away. Evo changed that. It is located in a 120-year-old former Salvation Army building, walking distance from popular Portland bars and restaurants like Produce Row, the Doug Fir, and Olympic Provisions. He’s talking to the chef from Revel, another popular Seattle establishment of which he is a partner, to open a restaurant within the building. Meanwhile, The Pass Life is Phillips' most ambitious community development project. Interstate-90 intersects the pass, acting as more of a truck stop with a bunch of massive 3,000-foot "cabins," and nothing to do once the lifts stop spinning. 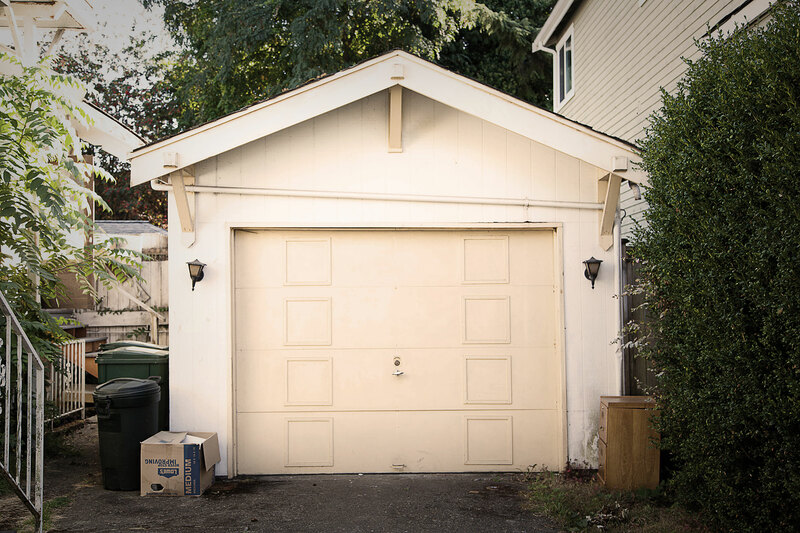 "There's nowhere to even meet your neighbors," says Phillips of the current arrangement. But he's trying to change that perception. As far as mountainside living goes, the townhomes are reasonable, starting at $350,000 for a two-bedroom, 1,008-square-foot place. The lofts sold out before Phillips put them on the market. By winter, the Washington State Ski and Snowboard Museum will sit between the Commonwealth Café and a craft brewery in the commercial space they're building next door. Phase two, nearly sold, will feature another row of 12 lofts in six dwellings. Ultimately, Phillips says they'll build between 52 and 100 condos on 20,000 square feet of space. On a gray March day last winter, Phillips pulls his Honda Element up next to a bunch of trucks at the construction site. We had just lapped the mini-park at Summit Central for an hour, and now Phillips is giving me a tour of a finished unit. It has a big loft, a deck, and a fireplace that is both inside and outside. Men are hard at work still completing the last townhome, which Phillips and his family will use. Phillips walks in and introduces himself to the construction workers and checks the progress of his latest place. Satisfied, he gets back in his car and drives through the rain, back to his office at evo.